Do you believe God has a purpose for your life, and every action or event that occurs within it has been used to make that purpose a reality? Do you read the story of Esther as a series of coincidences strung together to deliver the Jews from certain death? Or as God having a particular purpose at a particular time? 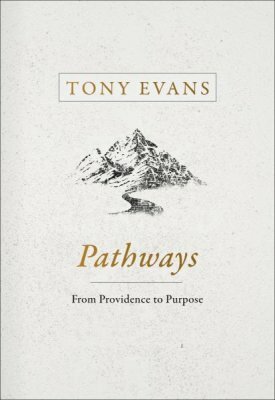 In this Bible Gateway Q&A, Dr. Tony Evans (@drtonyevans) talks about his book, Pathways: From Providence to Purpose (B&H Books, 2019). What prompted you to write Pathways? Dr. Tony Evans: Well, I’ve been talking a lot about destiny, and a lot of people are confused about how God goes about showing them and showing us where he wants us to go because he zigzags. And so the book was written to show that the pathway to where God is taking you is not a straight line. It goes up and down, in and out. Sometimes backwards, then forwards. So they can better make sense of the process and better accept, particularly things that they do not prefer or do not understand taking place in their lives, which is all part of God’s plan to develop us and take us from where we are to where he wants us to be. Why did you decide to focus on the story of Esther in this book, and what makes her story unique and relevant in understanding purpose and destiny? Dr. Tony Evans: Esther is unique because it’s the only book in the Bible where God’s name is not directly used, but his fingerprints are seen everywhere. Because sometimes when you’re pursuing your destiny, you can’t locate God. So God chose this story to show how he works behind the scenes when he’s not being obvious to accomplish his purpose. And Esther points that out in direct ways and indirect ways, using major events and minor idiosyncrasies to bring about not only Esther’s destiny but the benefit she would be to God’s kingdom. So, it’s a kingdom book, but it’s a kingdom book with God operating behind the scenes. What surprised you, if anything, about reading and studying the book of Esther with this topic in mind? Dr. Tony Evans: What surprised me was how God could take the good, the bad, and the evil because there’s sin involved, there’s rebellion involved, there’s evil involved, there’s a love relationship involved, there’s beauty involved, there’s family involved, and then there’s a whole nation involved. So you’ve got intrigue, drama, passion—you’ve got all of these human realities being brought together in a dynamic, unfolding drama. And so, it surprised me when I studied it to see all the human elements that are brought to bear in one person’s story for the benefit of the preservation of God’s people and God’s kingdom program. What else do you love about this story? 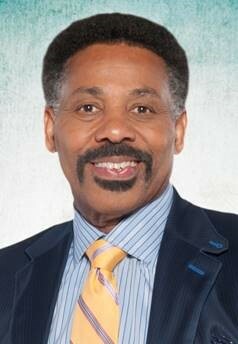 Dr. Tony Evans: I love the reversals. There are all sorts of reversals. A reversal for Esther. A reversal for Esther’s relative, Mordecai. A reversal for the nation of Israel. A reversal of the plight of the people. I love all the reversals that take place. That’s what excites me about the book. So that tells me that God can reverse anything at anytime when his sovereignty calls for it and when his providence arranges it. Why do you think it’s so difficult for people to stay on the right path, and how do we find purpose when we’re on a difficult path and don’t really understand God’s destiny for us? Dr. Tony Evans: It’s difficult because it’s not laid out for us in a clear road map. And whenever you’re zigzagging in life and you don’t clearly see where you’re headed, because we’re told to walk by faith, that can become problematic. And so what we often do is we detour onto our own path when God’s path that he has us on, which has given us no legitimate reason for the detour, looks too difficult, too challenging, or too undesirable. So then we veer off, and then, of course, that means we have to go through the trauma of getting back on the right road. And so when God cannot be understood or clearly articulated or clearly seen, but you, to the best of your knowledge, are walking in the way that he’s prescribed, you’re going to have to learn to trust him in the dark. And that’s what happened in the book of Esther. When you’re on the difficult path, how do you understand God’s purpose and where he is in those moments and what do we see Esther do? Dr. Tony Evans: What you look for when you’re on a difficult path is validations along the way. Those come in big waves and those come in small waves. We see Esther delaying a dinner. She gets an impression not to move forward in that moment. The Holy Spirit—to use a New Testament terminology—holds her back from her movement because timing would become critical. Insomnia would become critical. So, there would be little things. So, look—most people want to look for their destiny—looking for a big thing. Something overt from Heaven. When God often brings little things. So you want to pay attention to the details. That’s what I’d say. Is God—is something happening that’s out of the ordinary? Am I being drawn in a particular direction? It may not be big, but if you can’t escape it, then that’s God talking, so pay attention. Sometimes there’s a misunderstanding in the Christian world about using the word providence. What does providence mean and how does it change our perspective on our lives and pathways? Dr. Tony Evans: Providence is a subset of sovereignty. Sovereignty is God’s rule over everything. God accomplishes his purposes. Providence is the methods he chooses to use to accomplish those purposes. It’s God’s invisible hand behind the steering wheel of history in general and a person’s history in particular. So it’s God working behind the scenes when he wants to stay anonymous to accomplish his sovereign will. How does understanding that providence change our perspective on our lives and the path that we’re on? Dr. Tony Evans: Well, understanding providence means that I’m looking for God in all the details. I’m looking for God in all of the parts of life. I’m looking for God not only in the big things but I’m looking for God in the little things. So God is now being looked for because I’m not only looking for him in an overt way, I’m looking for him in secret ways. In subtle ways. So it gives me a God-focus and a God-consciousness ongoing. What do you hope for readers of your book? Dr. Tony Evans: What I hope is that readers of Pathways get excited about the invisible God. They get excited about the things that they don’t understand. And that they learn now to trust God more. And to walk with him further in spite of the challenges they face because now they understand how he works a lot clearer. Bio: Tony Evans—author of numerous books including The Truth About Angels, Your Comeback: Your Past Doesn’t Have to Determine Your Future, and Warfare: Winning the Spiritual Battle—is one of the country’s most respected leaders in evangelical circles. As a pastor, teacher, author, and speaker, he serves the body of Christ through his unique ability to communicate complex theological truths through simple yet profound illustrations. 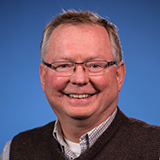 While addressing the practical issues of today, Dr. Evans is known as a relevant expositor. New and veteran pastors alike regard him as a pastor of pastors and a father in the faith. Learn more about the book of Esther and all the books of the Bible by becoming a member of Bible Gateway Plus. Try it right now! She said to them, “Because they have taken away my Lord, and I do not know where they have laid Him..."
She turned and said to Him, “Rabboni!” (which is to say, Teacher).